A round-up of some local matters — planning applications, etc. 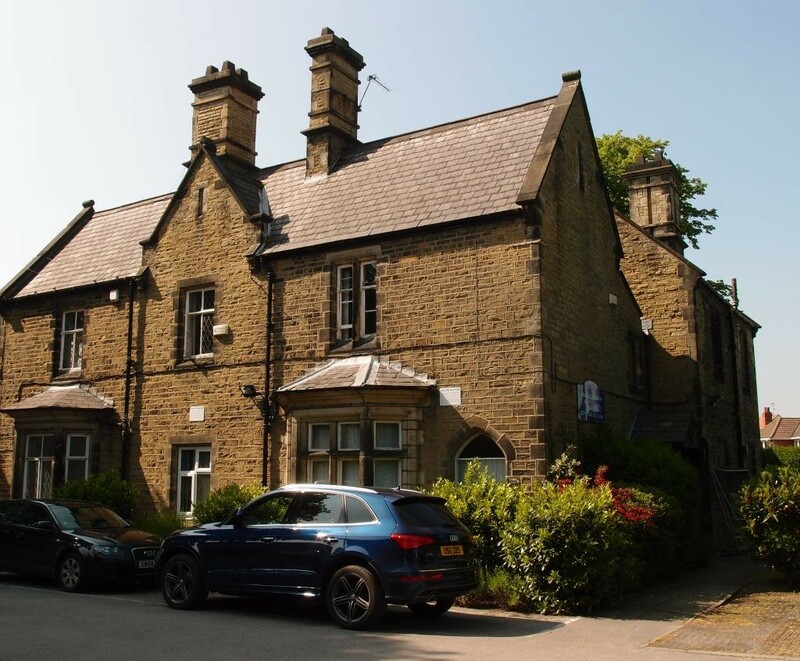 Plans have been submitted to demolish the existing 19th century lodge building and replace it with residential accommodation. An application was submitted last year for the same, but then withdrawn in the face of many thoughtful and considered objections. 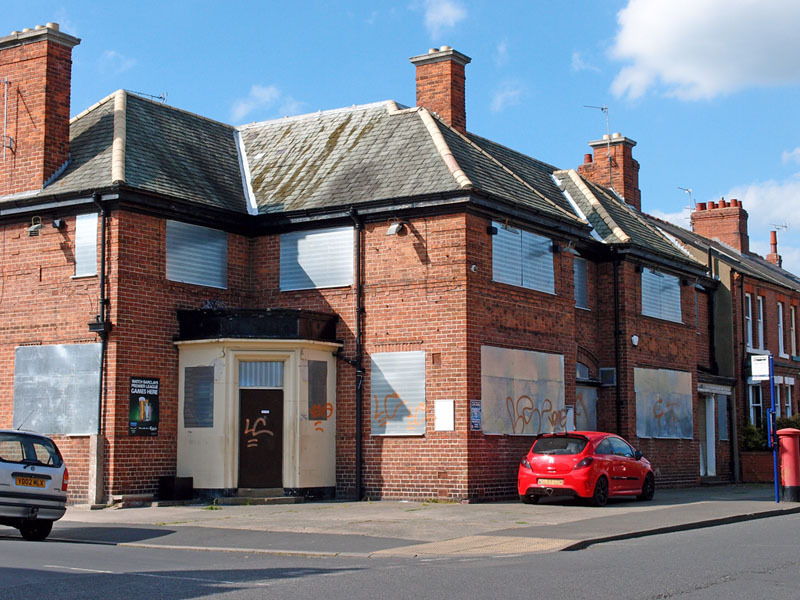 At that point it seemed like things may be turning in favour of preserving the well-built heritage assets we already have even if they’re not listed buildings, as is the case here. But apparently not. The boathouse, as you would expect, is near the River Ouse. Though the building is on the school’s own land, the plans also involve some changes to the riverbank. The proposal is to extend the existing concrete steps to what looks like three times the length of the existing steps. The plans also involve removing a few trees. As always, this raises questions regarding who owns what. There’s a public right of way along the river bank, between the boat house and the riverside steps. I’m wondering though about the ownership of the riverbank itself, and the trees on it. The answer may be in the documents available online, but I haven’t the energy or time to go ploughing through them at present. 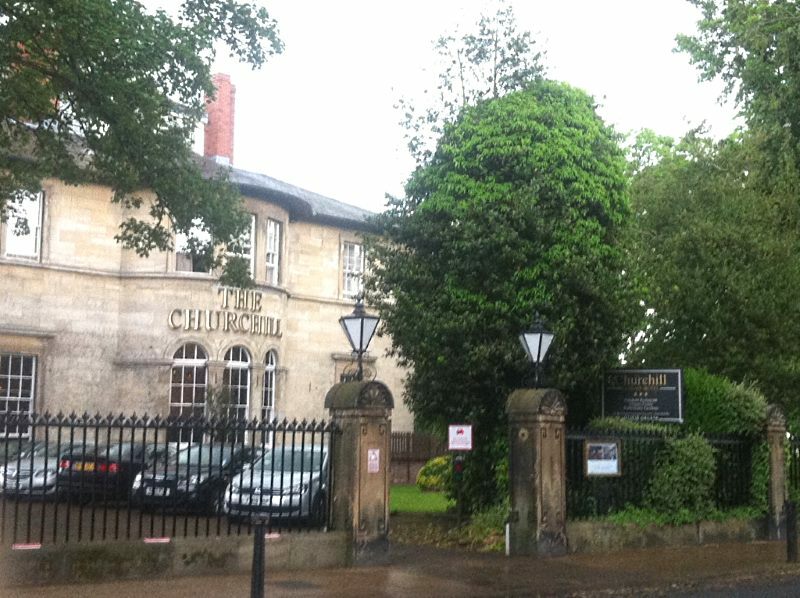 Not far away from the Churchill Hotel there are also applications to fell trees on Bootham Terrace and in Clifton Dale, and of course many more in other areas of the city. We have a duty of care to nesting birds through the nesting season, so I hope all this tree-felling, if approved, won’t be destroying any nests. Meanwhile the council is considering its tree strategy, for the trees in its care. A story in the Press this week about the closure and relocation of Heron Foods seems to confirm a rumour I’d heard that the new store will be in (or on the site of) the Corner House, on Burton Stone Lane. I wonder if they’ll use the existing building or clear the site and build a new store. We’ll have to watch this space. On an evening wander earlier this week I noticed some rather splendid flowers in window boxes at the library. 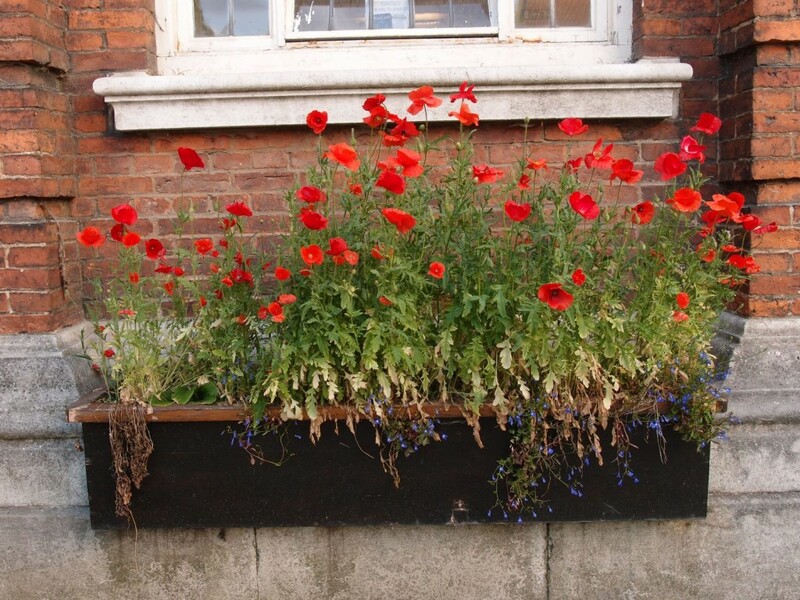 Poppies in a window box isn’t a common choice, though they are a common flower out in wilder places. The lobelia below them was browning a bit, and they’re perhaps a bit wild and scruffy for some people’s tastes, but they did look beautiful, in a rare burst of evening sun. So I thought I’d share them with you, dear readers, in an attempt to bring cheer after what has been a rather gloomy week. If you appreciate these pages and would like to see more of the same, there’s more information on this link on how to support this site. By Lisa @YorkStories • 17 June 2016 Noticeboard To link to this page's proper location please use the > permalink. unusual to see poppies like this perhaps self seeders ? ?